Apartment hunting in New York City is not easy. Figuring out who qualifies for the city’s hundreds of income-restricted units (what even is AMI?) 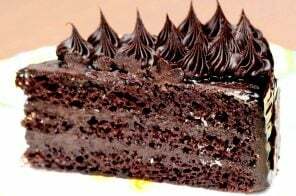 is another challenge entirely. In an attempt to streamline the process of finding affordable housing lotteries, the Department of Housing Preservation and Development this week unveiled a new tool that allows users to search by borough, household size, and income to find lotteries currently accepting applications. 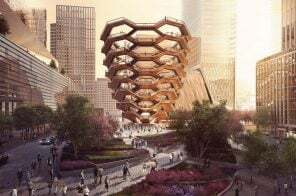 The city is calling on architects to help design innovative affordable housing on irregularly-shaped lots, the New York Times reported Monday. 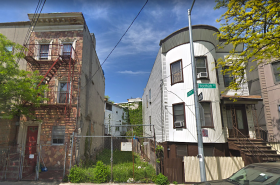 The Department of Housing Preservation and Development will launch a design competition, along with the New York Chapter of the American Institute of Architects, seeking ideas for housing on 23 unusually small or narrow lots across the city. 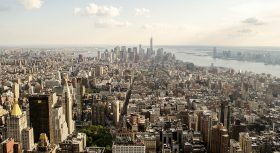 The program, called Big Ideas for Small Lots NYC, was first announced by the city last year and falls under Mayor Bill de Blasio’s ambitious Housing New York 2.0 plan. City officials have released long-awaited plans to develop the blighted Willets Point section of Corona, Queens. 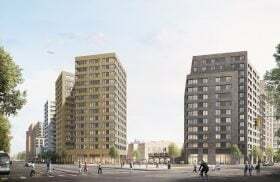 As 6sqft previously reported, the economic development site within the industrial neighborhood east of Citi Field known as the Iron Triangle was at one point slated for a cleanup of its toxic soil and the creation of affordable and senior housing that would replace a jumble of auto shops and industrial businesses. Finally surfacing almost four months after a task force submitted suggestions to the Econonmic Development Corp. (EDC), the plans contain two development scenarios including a soccer stadium and mixed-use scenario that includes residential development, retail and a school. 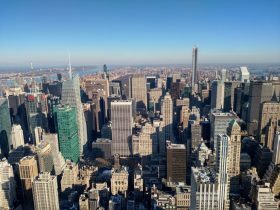 The city created and preserved 34,160 affordable homes in 2018 alone, 40 percent more than the record set last year, Mayor Bill de Blasio announced on Wednesday. And, according to the mayor, 10,099 new homes were financed last year, another record for new construction in the city. 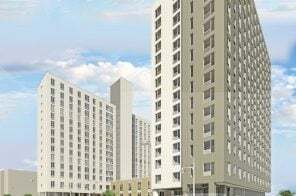 The additional homes fall under de Blasio’s Housing New York 2.0, which aims to create and preserve 300,000 affordable homes by 2026. To date, the housing plan has helped finance nearly 122,000 affordable apartments since 2014. A Christian megachurch in East New York is partnering with the Gotham Organization to redevelop their East New York campus into a mixed-income community, or “urban village” as Reverend A.R. Bernard calls it, of 2,100 affordable units and neighborhood amenities. The plan from the Christian Cultural Center, led by Bernard, will supplement the existing church at 12020 Flatlands Avenue in Brooklyn and create a community with CCC at its core. 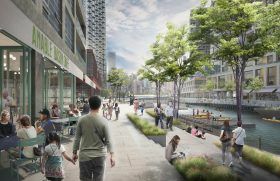 A plan to create 1,500 units of affordable housing in the Anable Basin area of Long Island City will most likely be scrapped, as Amazon prepares to open its headquarters on that same land, Politico reported. Amazon announced this week plans to bring its second headquarters to the Queens neighborhood on land currently owned by plastics company Plaxall, as well as some parcels owned by New York City. 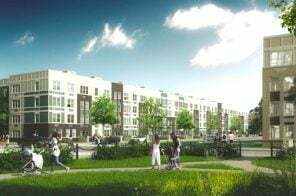 Previous plans from Plaxall and the city, who hired developer TF Cornerstone to build a mixed-use campus at the site, called for 1,250 and 250 units of affordable housing, respectively. But an Amazon spokesperson told Politico there will be no housing at its new complex. 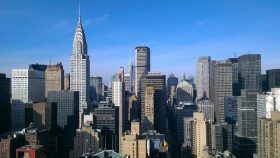 Since 2005, New York City has lost over 1 million affordable apartments, according to a report released by the City Comptroller Scott Stringer on Tuesday. The report, “The Gap is Still Growing,” builds from an original 2014 analysis from the comptroller’s office and shows the number of available units has failed to keep up with the city’s booming population. Between 2005 and 2016, about 576,000 people moved to NYC. But the city added just over 76,000 new units of rental housing. 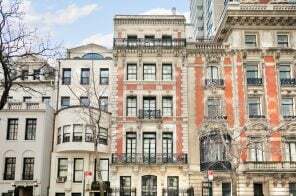 According to a new city management report, during the 2017 fiscal year, the city spent an average of $99 a day to house single adults in facilities in New York City; in fiscal year 2018, that number grew to $117 a day, the Wall Street Journal reports. The cost of housing homeless families in shelters rose in fiscal year 2018 as well, with over 22,340 children living in shelters–an average of $192 a day compared to $171 in fiscal year 2017. It cost $147 each day to house adult families in fiscal year 2018 compared with $138 a day a year prior. According to the city’s Department of Homeless Services, the bigger numbers are the result of an increased investment in services, repairs and security at shelters. Could affordable housing plans for Willets Point be scrapped for airport construction parking? Willets Point from Citi Field. Image: Wiki Commons. The city and developers have filed preliminary plans to pave a 6.5 acre stretch of city land for 665 parking spots, Crains reports. 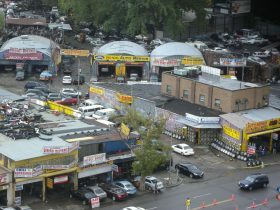 The economic development site within the industrial neighborhood of Willets Point, in Corona, Queens also known as the Iron Triangle was slated for a cleanup of its toxic soil and the creation of affordable and senior housing, plans which resulted in the demolition of a cluster of small businesses. New York City Football Club, the Major League Soccer franchise owned by the Yankees and an investment group led by Abu Dhabi billionaire royal Sheik Mansour bin Zayed al-Nahayan, who also owns Manchester City Football Club, may have found a site for its own home stadium after a five-year search. The focus is on a site in the Bronx near Yankee Stadium, which is where the team’s owners had wanted to build the stadium in 2013, as 6sqft previously reported. 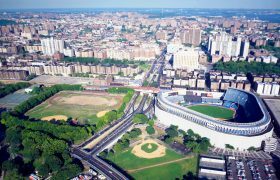 This time around, the stadium would be part of a multibillion-dollar 20-acre development along East 153rd Street and River Avenue between Yankee Stadium and the Bronx Terminal Market and would also include a park, a hotel and soccer and sports-focused conference center, shops, office space, a school and as many as 3,000 affordable apartments, according to the New York Times.